Immigration reform remains one of the most contentious issues in the United States today. 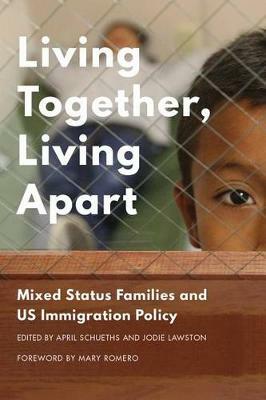 For mixed status families-families that include both citizens and noncitizens-this is more than a political issue: it's a deeply personal one. Undocumented family members and legal residents lack the rights and benefits of their family members who are US citizens, while family members and legal residents sometimes have their rights compromised by punitive immigration policies based on a strict "citizen/noncitizen" dichotomy. This collection of personal narratives and academic essays is the first to focus on the daily lives and experiences, as well as the broader social contexts, for mixed status families in the contemporary United States. Threats of raids, deportation, incarceration, and detention loom large over these families. At the same time, their lives are characterized by the resilience, perseverance, and resourcefulness necessary to maintain strong family bonds, both within the United States and across national boundaries.